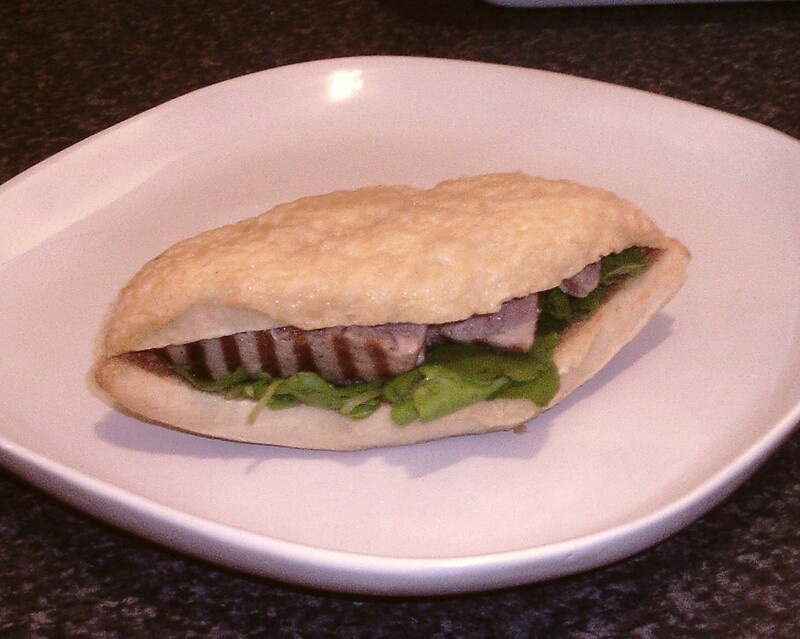 Fresh tuna is as different from canned tuna as tuna itself is from cod. 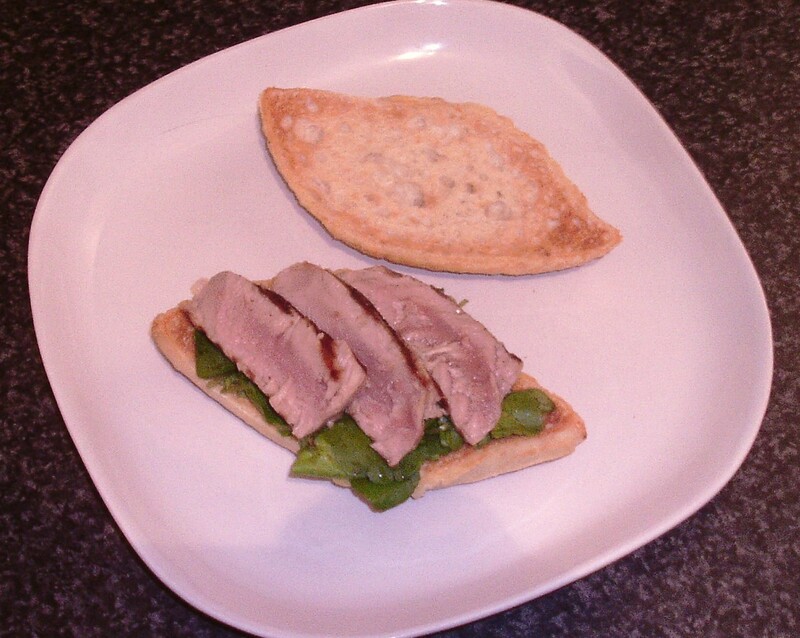 It really is like eating an entirely different foodstuff - provided, of course, the fresh tuna is not overcooked as the canned stuff is to such excess. I quite literally can't eat canned tuna I dislike it so much but I love fresh tuna and rate it as one of my most favourite types of eating fish. What I did here therefore was make a simple tuna and mayo sandwich but used fresh tuna cooked on a hot griddle or grill pan rather than canned. Start your griddle pan preheating on as high a heat as possible. 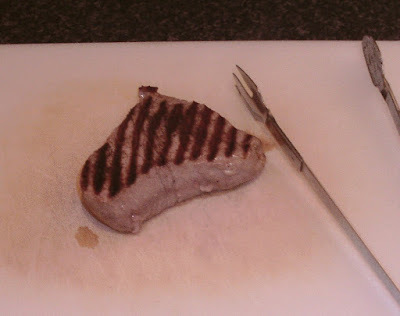 It has to be smoking hot for cooking the tuna and it is likely to take three or four minutes to get up to the required temperature. 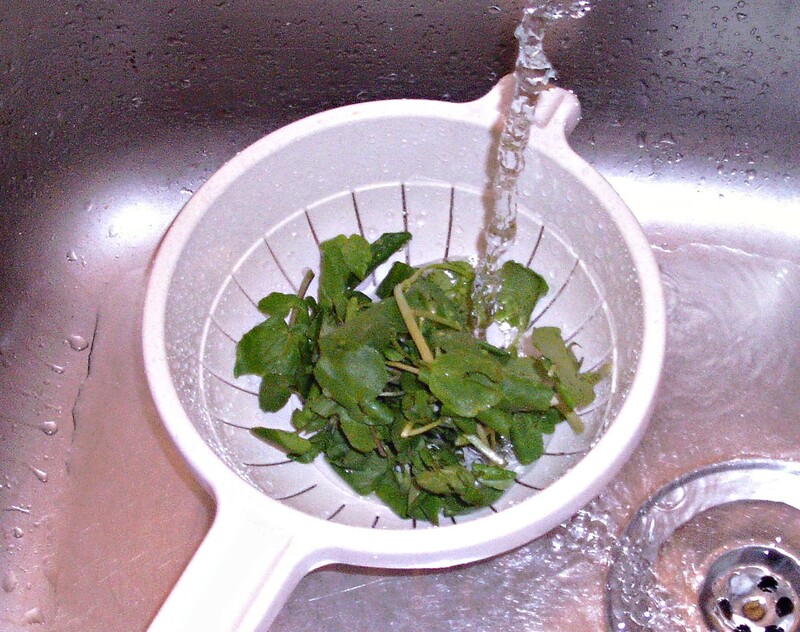 Put the watercress in to a sieve and wash thoroughly under running cold water. This is always essential, even when the pack claims it is washed and ready to eat. Sit it aside to drain off. 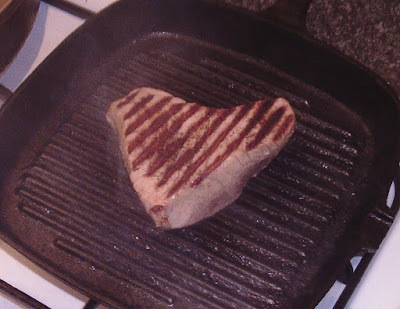 Lightly oil the tuna fillet all over (never the griddle pan) and season on both sides with salt and pepper. 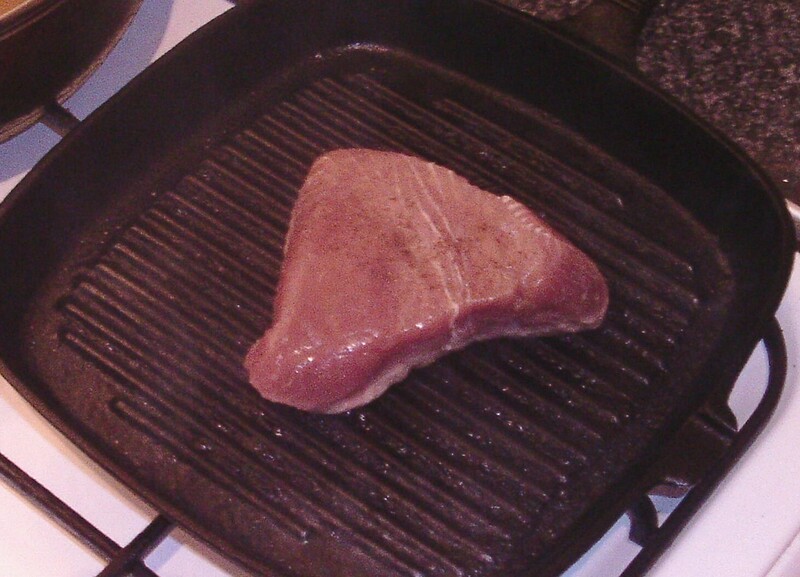 When the griddle pan is smoking hot, very carefully lay the fillet in it to fry for three minutes. Turn with cooking tongs and fry on the second side for a further three minutes. Lift the tuna fillet to a chopping board and allow it to rest for a couple of minutes. 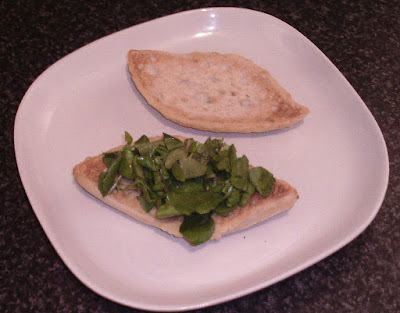 Cut the rolls open and very lightly toast on the cut sides. Divide the watercress between the two bottom roll halves to serve as a bed for the tuna. Slice the tuna to around a quarter of an inch and divide between the two watercress beds. 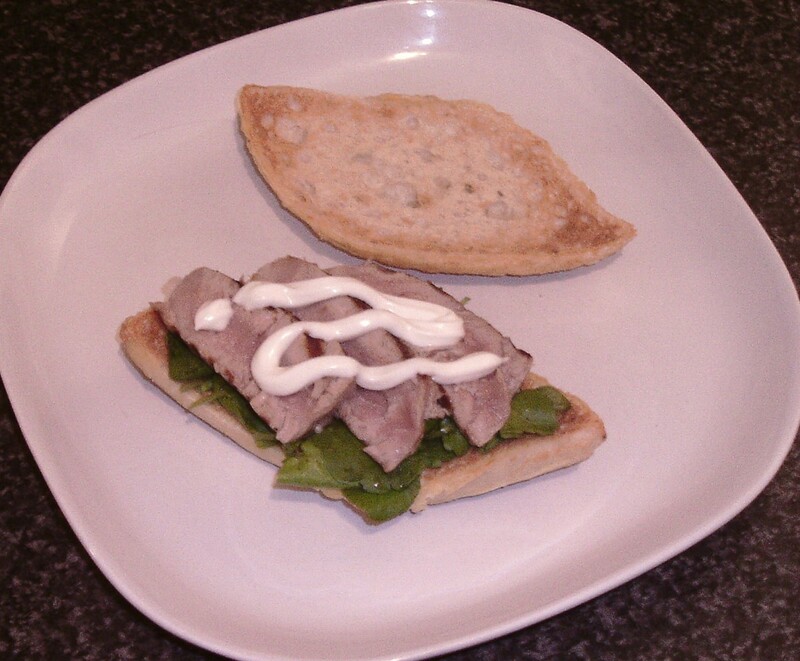 Add the mayo and place the tops on the rolls to serve.